This past season at Flamboro Speedway, Shawn Taylor was able to put together a lot of success with seven wins and 24 top-fives along the way. As he prepares for 2018, he took some time to offer his thoughts for SHORT TRACK MUSINGS. SHORT TRACK MUSINGS: What are your thoughts going into the 2018 season? SHAWN TAYLOR: I am hopeful to continue building off of the speed we had last year and continue to see the growth of the track. As a race fan you have to love the passion that the drivers in all divisions have. Flamboro had some amazing and exciting races last year and I can’t wait to be apart of many more this year. SHAWN: I wouldn’t be a racecar driver if my goal wasn’t to win. We were able to prove we can run up front and contend for wins each and every week, although we had some mechanical gremlins that kept us from being in Championship contention. The real goal for 2018 is to not have any mechanical DNFs. 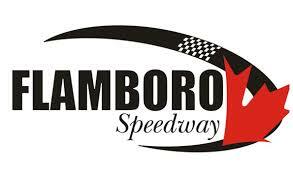 STM: Of course, the big story right now are the discussions surrounding the “STOCK” Car Nationals at Flamboro Speedway. What are your thoughts on the event? SHAWN: I think it’s great that Flamboro is getting itself back onto the map. The Frostoberfest weekend has been a Marquee event every year, and the hype around the mid-season invitational events have everybody excited. My dad Sam and uncle Harold raced back in the 70s, when it was standing room only every night. Events like this are going to bring some of that excitement back, and I can’t wait to be apart of it. STM: Giving last year a final glance back, what are your reflections on 2017? SHAWN: I am happy with how we ran with our Nissan, mechanical issues aside. I felt we were a serious contender every time we unloaded. We traveled to Sauble Speedway for their season opener, and were able to lead a bunch of laps and finished third. It felt good to represent Flamboro at the front of the field. Also, building the Toyota Echo for pure stock/enduro racing was very rewarding. I think everyone was incredibly surprised with how well the car ran, myself included. Seeing my good buddy Wayde Thorne run in the top 3 the first time the car was on track made it all worthwhile. STM: What’s the biggest thing you can take away from 2017 that you feel will help you in 2018? SHAWN: My 2016 season didn’t go as planned, so I did a lot of mental training prior to 2017 and think that paid off the most. I am most comfortable being behind the wheel, it is almost an out-of-body experience for me. Being able to feel and understand exactly what the car is doing has allowed me to really slow everything down and be more precise and consistent. Being able to stay calm and 100% focused at all times definitely gives me an advantage in all aspects on the track. Now I’m working at bringing that same level of confidence to the rest of my life, which is easier said than done haha. SHAWN: Like many of us, it’s in my blood. My grandfather owned race cars, and several of my uncles as well as my dad have all been involved with racing in some shape or form. When I was 10 I started racing go karts at Cameron Speedway in Hamilton in their arrive and drive program. From there we moved up to owning our own kart and doing select Regional and National events. 2013 we were fortunate enough to inherit an Integra for cheap, and we built that to compete in the Pure Stock class. Once we got that car figured out and won the 2014 championship, we started from scratch again building the Nissan 240sx from the ground up for mini stock. This will be our 4th season with that car and I can’t wait to get back behind the wheel. SHAWN: Overall, winning the 2014 Pure Stock Championship was pretty great. That whole season was a lot of fun and I made a lot of great friends that year that I still have to this day. Single race wise, there was a race last year where Rich Schwartzenberg and I battled door-to-door for at least 10 laps for the win. I came from the back making most passes on the high side, and it was such a dog fight from green to checkered. Those are the types of races that you want to win, hard fought but clean all the way through. Rich was so close to winning that night, I almost felt bad for stealing it. Almost haha. His time will come this year for sure.